How can we imagine the future of the world, away from the standards of time that we have insisted upon giving it? How to conceive of the movements of a world in its arcs and sweeps of continents and oceans across ages without reducing it to cheap historical humanisations? Does a past, present or future even matter to the yet-to-exist events of ungraspable and fundamental ecological time? 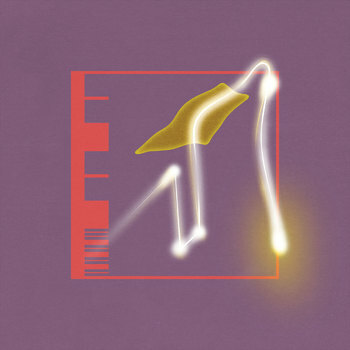 Pangaea Ultima, Steve Moore’s debut record on Spectrum Spools, is an epic musical achievement, not simply for its sonic sophistication and compositional mastery, but also because Moore has crafted here an album that has gone as close to any in transcending the boxed human logic of time and place. The album title refers to the name which geologists have given to the future super-continent that is suggested may form on earth in the next quarter-of-a-billion years. Over the course of the 9 pieces on Pangaea Ultima, Moore meditates upon the realisation of this new land mass in an uncharted part of the world’s moment. How will this continent come to be formed? What forces and what processes create it? What is this continent’s terrain of Endless Mountains and Endless Caverns, and on what kind of planet will it be? These are all speculative questions that alight the listener as they are subsumed into Steve Moore’s synthscapes which unfurl with equal amounts of delicacy and meticulous detail. In some respects, the attitude and ambition of Pangaea Ultima places this work in a similar canon as the mythic territory of Tangerine Dream’s Phaedra or the cosmic imaginations of Michael Stearns’ Planetary Unfolding, and yet it evades both comparisons as easily. There is something mysteriously self-contained, urgent that pervades these assemblages of tracks. Logotone exhibits Moore’s ability to stretch the sensibilities of melodic and chordal phrasing to limits that Schulze or Alan Hawkshaw wouldn’t have gone. The compositions on Pangaea Ultima, like Planetwalk and Nemesis are more tightly coiled even in their constant straining to explode outwards to the stars beyond. And when Moore plays with rhythms, they resemble the idiosyncratic mould of his releases for Long Island Electrical Systems, Future Times and Kompakt, and yet seem to push even further towards an eerie sparseness yet to be fully tapped. If there are 4/4 kicks on Pangaea Ultima, like on Deep Time and the title track, its for a world skewed on a bent axis. Musically, this is a record of both microscopic and macroscopic reward, an absorbing listen that betrays the albums 60 minutes of length. Which again returns us to the question of time and how so expertly Moore has managed to avoid it. Or more so, how he has managed to find a fold in time - an atemporal space - where this album anomalously nestles by itself. Moore reaches out to the moment of genesis of Pangaea Ultima and slips into its imaginary logic of time and place. He does not intrude or indulge there. Nor are there any “retro” homages or “sci-fi” tropes/ambitions on Pangaea - we can not even be sure whether humans have a history they can call a future on this continent. Yet just as easily, as geologists concede, this future super-continent may never end up eventuating, which would mean this imminently possible reality will melt into fantasy. But this too, is not a bad place for Steve Moore’s masterpiece to end up either.